Many towns and cities are sending bills out late this year because they still don’t know how much money they’re getting in the state budget. A late car tax bill can cause big problems. A struggling medical student, Morgan Gilmour, said he moved to Illinois, left a forwarding address with the post office, yet never got his tax bill. Years later, he has a collection agency demanding he pony up 50 percent more than what he originally owed. "This completely shocked me. I always paid my bills on time," Gilmour said. The city trying to collect the taxes said he has no choice but to pay up and the law is on its side. The 2014 motor vehicle tax bill for Gilmour’s Ford Escape was originally $196, but by the time a collection agency found him two and a half years later, penalties and interest ballooned it to more than $320. Gilmour explained he filed a permanent change of address form with the postal service and notified the DMV that he sold the Escape before moving. 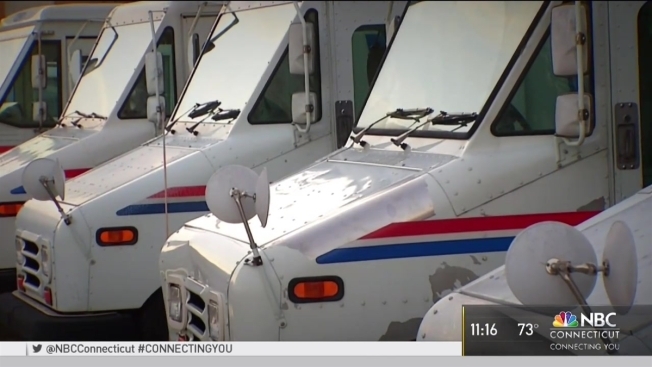 The USPS said it will forward mail for one year when someone makes a permanent address change. But when Gilmour moved, New London delayed sending out its motor vehicle tax bills six months because it could not pass a budget. The bill, while sent less than a year after Gilmour left town, never got to him. He said Mayor Michael Passero looked into the matter, but in the end, could not assist, citing a very clear state law connected to an 1862 court case that remains precedent in Connecticut. Passero told the NBC Connecticut Troubleshooters, "Even if the city is at fault, I believe that is still not a defense to paying your taxes." “Morgan raises a good point and this is an opportunity for us to look at the way we do business at that small town city level and see if there's ways that we can make life easier for people living in our communities,” Soto said. Gilmour said he is willing to pay just the taxes he owes. However, the city of New London said state law also does not allow towns and cities to waive interest or penalties that taxpayers get charged.